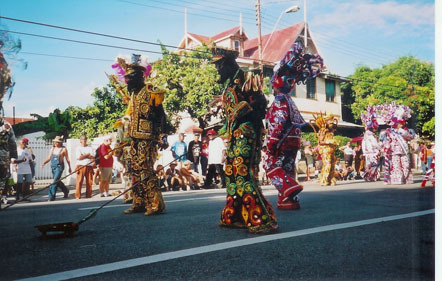 Traditional Carnival where events from Trinidad's past are depicted. Anything from the slave era, the stationing there of the American fleet or even a plague of bats. These men are firemen (stokers) and they dance with a rolling 'drunken sailor ' motion. The costumes are supposed to be made by the participants and are many hours of intricate work. 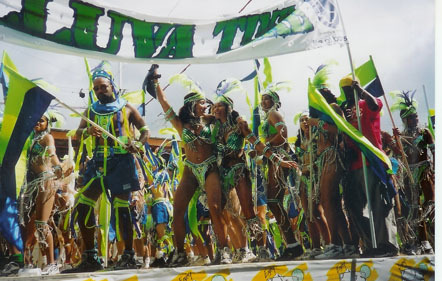 The Modern Carnival with a lot less in the way of costume and a lot more in the way of very loud music!